Elderly Mothers and their Caregivers – Carolina Castillo Crimm, Ph.D. True, she has and she is, but how do you tell someone they have become feeble and forgetful? 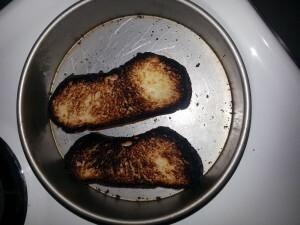 We would rather she didn’t burn the house down when she puts the thick slice of buttered Italian bread in the oven, with the broiler on, and forgets it? Admittedly, Mom was talking to Sister Sara on the phone when she did it, so it’s not all her fault. Busy with her doctoral work or the demands of teaching 5th graders or caring for us four kids, she would forget them. Out of sight, out of mind. Two or three days later, one or another of our friends would come into the house and ask “Did someone forget the beans again?” We kids had become so inured to the pungent scent of putrifying beans that we didn’t notice. It’s saveable, just a little scraping. And burning toast was an almost daily occurrence. We had no toaster and Mom used the broiler in the oven. With the door closed, the toast was easy to forget. The scent of burning bread would send us all leaping for the oven. Scraping charcoal off the bread became a habit. Seems that it still is since Mom likes her bread and butter broiled and Sara or I forget it while we’re fixing the rest of the breakfast. So we insist on having one of us with her as much as possible, at least at meals. When I am gone on one of my various speaking engagements, I call on Sister Sara to come up from Seabrook to care for Mom. It’s even worse when Sister Sara can’t come and I round up my entire Sunday school class, strangers to Mom, to come “visit” three times a day. The implication, in my mother’s mind, is that we don’t trust her. 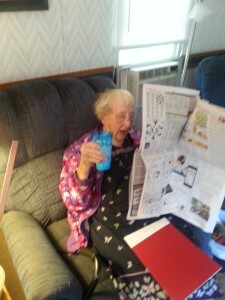 She feels that we see her as incompetent and unable to care for herself. That she has become feeble and forgetful, no longer the vibrant, successful being that she once was. No one likes to feel less than they once were. We won’t like it when we get old, I’m sure. How do we convince the elderly that they simply can’t do what they once did? Hubby Flatbottom, once an active ball player, says you know you’re through when they quit asking you to play on the team. Mom is still on the team, but she is more bat-boy than pitcher now. 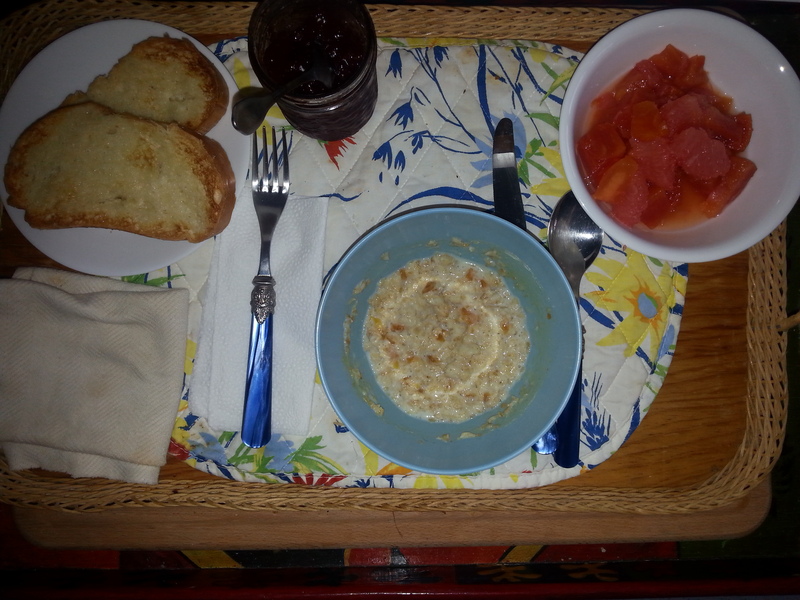 Oatmeal, papaya and thick slices of Italian bread, buttered and broiled with homemade jam. And cousin Becca assured her that we just wanted to enjoy being with our mother. Well, actually, not. Sorry! We have lives to live. That sounds terribly harsh but it’s true. How many of us would rather just stick our elderly relatives in a nursing home and forget them? How many of us do? At least she is here and not in a nursing home!